Site of Bridge No 67 is a minor waterways place minor waterways place place on the waterways major waterways place village town city on the Grand Union Canal (Grand Junction Canal - Main Line - Gayton to Brentford) between Wolverton Aqueduct (2 furlongs to the northwest) and Wolverton Railway Bridge No 71A (1 mile and 2½ furlongs to the east). 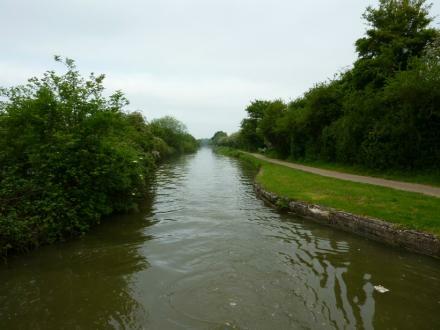 The nearest place in the direction of Wolverton Railway Bridge No 71A is Galleon Wharf; ¾ furlongs away. Wolverton, Milton Keynes, MK12 5RL — 1333 yards to the east. Greenfield Road, Milton Keynes, MK16 8 — 1473 yards to the south. Stratford Road, Milton Keynes — 614 yards to the southeast. Milton Keynes — 1452 yards to the east. Milton Keynes — 1407 yards to the southeast. Milton Keynes — 1112 yards to the southwest. Milton Keynes — 1313 yards to the southeast. 9 Bridgeturn Avenue, Wolverton, Milton Keynes, M12 5QL — 1445 yards to the east. 27 Windsor Street, Wolverton, MK125AL — 1307 yards to the southeast. Milton Keynes — 1337 yards to the southeast. 11 Bridgeturn Avenue, Milton Keynes, MK12 5QL — 1422 yards to the east. Milton Keynes, MK3 6FP — 1460 yards to the southwest. 63 Stratford Road, Milton Keynes, MK12 5LT — 1169 yards to the southeast. Milton Keynes — 240 yards to the southeast. Milton Keynes, MK12 5 — 1064 yards to the southeast. 65 church street, Milton Keynes, MK12 5LD — 1398 yards to the southeast. Milton Keynes — 1267 yards to the southeast. 17 Stratford Road Wolverton, Milton Keynes, MK12 5LD — 1485 yards to the east. Wolverton — 1476 yards to the southeast. Cosgrove — 1559 yards to the west. Milton Keynes — 1534 yards to the south. Hanslope — 104 yards to the southeast. Milton Keynes — 1173 yards to the southeast. Milton Keynes — 1522 yards to the southwest. Wolverton — 1173 yards to the southeast. Unit 40, The Agora, Church Street, Wolverton, Milton Keynes, MK12 5LG — 1397 yards to the east. Milton Keynes — 1451 yards to the southeast. Milton Keynes — 1502 yards to the southeast. Milton Keynes — 1283 yards to the southeast. Old bath house 205 Stratford rd, Milton Keynes, MK12 5RL — 1456 yards to the east. Foundation House, Wolverton, MK12 5HX — 1550 yards to the southeast. Milton Keynes, MK12 5GP — 1114 yards to the southeast. 9 Bridgeturn Avenue, Milton Keynes, MK125QL — 1445 yards to the east. Milton Keynes — 1537 yards to the south. 36 Stratford road, Wolverton, Milton Keynes, MK12 5LW — 1362 yards to the east. 638 yards to the east. 1356 yards to the south.